“It’s time to put The Innovation Principle’ at the heart of Europe’s economic revival,” that was the key message at a high-level industry conference in Brussels last week. 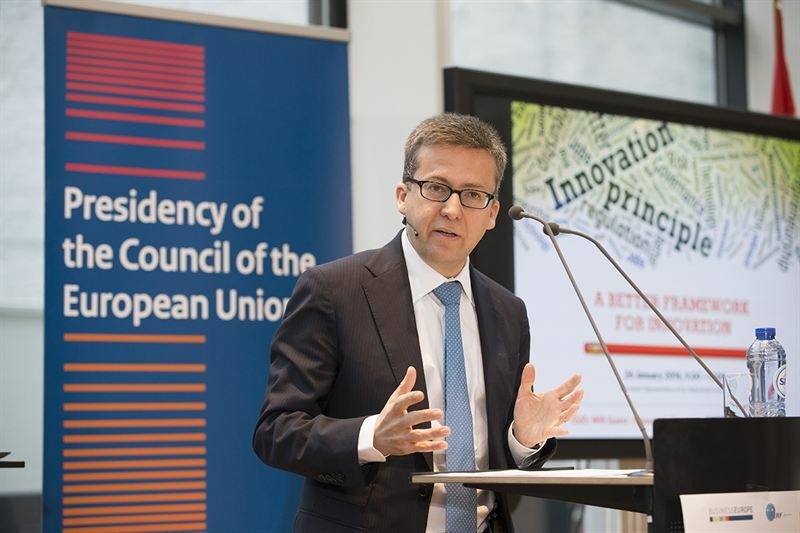 Carlos Moedas, European Commissioner for Research, Science and Innovation said barriers between interdisciplinary structures must be removed to quicken innovation and accelerate competitiveness. He said it’s about process, managing risk, education and a rebranding of Europe’s innovation mind-set. Article Free for Immediate Use: Wednesday 10th February 2016: Europe is still lagging behind Asia and the United States when it comes to innovation and economic success; the EU is too slow to recognise powerful new products and services, often hindered by ‘the precautionary principle’ which can bury new concepts beneath a mountain of environmental and consumer protection. The ‘Innovation Principle’ attempts to rebalance economic needs with precautionary concerns. At its core, the innovation principle is a mission to ensure all EU policy making adopts a ‘Do No Harm’ mentality to Europe’s innovation capacity, from SME’s right across to the industrial giants. The industrials made this pitch – put ‘The Innovation Principle’ at the heart of decision-making across all policy sectors. The Innovation Principle was described as a simple, straightforward idea, requiring that whenever the EU’s institutions consider policy or regulatory proposals, the impact on innovation should be fully assessed and addressed. Pinca added: “At Copma we believe that existing technologies, such as our international peer reviewed PCHS antimicrobial cleaning system, need to be evaluated not just in the context of The ‘Precautionary’ Principle, but also The Innovation Principle. Brian Maguire is a Brussels-based journalist, producer and broadcaster. This blog article is provided free for use under the Creative Commons standard licence.